We provide top-quality Google LG Nexus 4 repairs almost anywhere in Vancouver. This Google phone made by LG is most recognizable by its black glass back. Is your Nexus 4 looking hella poor? Don’t sweat it – we’ll get that trusty smartphone of your back up and running in no time! 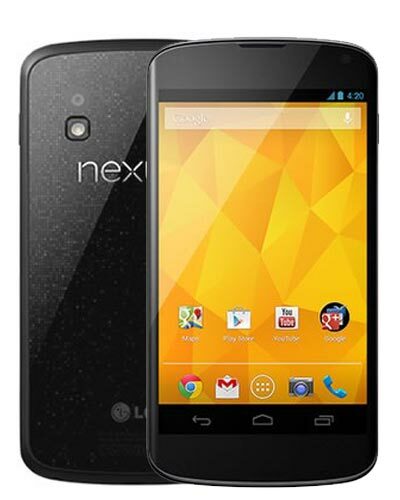 The LG Nexus 4 screen repair also includes the display and the touchscreen at no extra cost. Call us at 604-700-6049 to book a repair at your location or come by our shop for a quick fix. Are those dings and scratches in your phone beginning to bother you? We can replace your entire frame to restore it back to its former glory and make it new again! Includes front glass and LCD display. Get your fix at our storefront or have us come to you to facilitate the repair at your location.